Founded in 2012, Brooklyn Popcorn started out as an idea between a group of New York friends. Through a love of popcorn and a yearning for a fast, fresh and delicious health food that had a twist of gourmet flavor added to it, the Brooklyn Popcorn Truck became what is the first gourmet popcorn truck in the world. 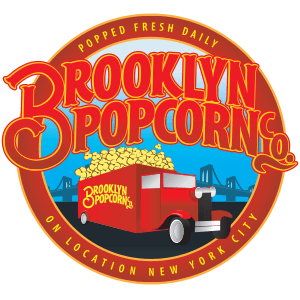 Hire the Brooklyn Popcorn truck for your next NYC event, with a wide array of flavor classics like Cinnamon Kettlecorn & White Cheddar to unique combinations like The Brooklyn Mix (Chocolate & White Cheddar) & Jalapeño Nacho, popcorn is always a crowd-pleaser!